Measured from June 2015 to June 2016, these are the biggest hitting women in the music industry in terms of money. As Beyonce once said, "Who run the world? 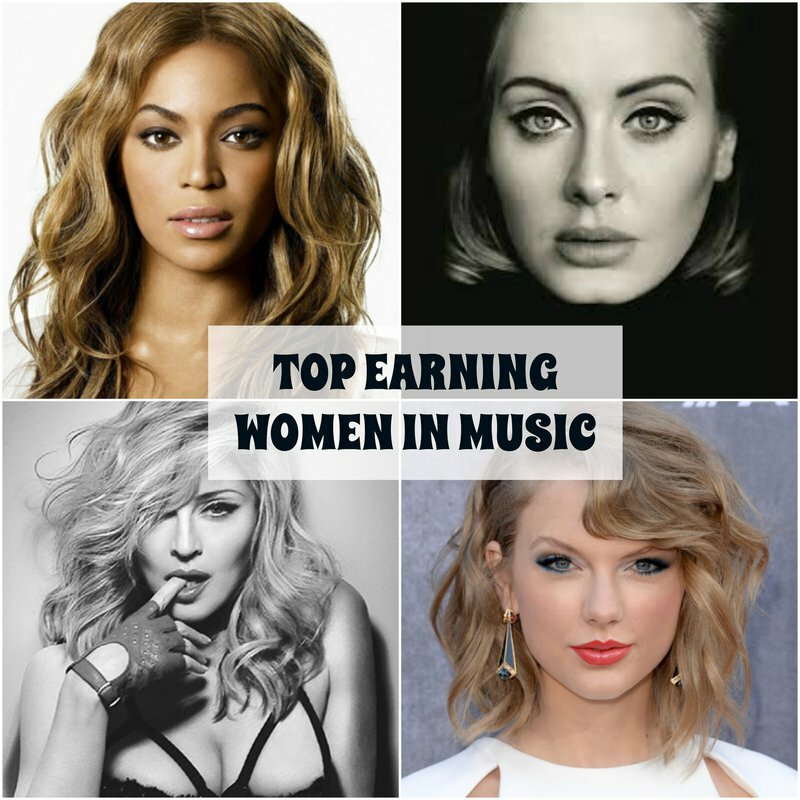 GIRLS" and it is overwhelmingly true if you take a look at the top 5 highest paid women in music for 2016. These major hitters topped the list thanks to world tours, endorsement deals, and — at least for Adele — actual album sales. Coming in at number 5 Queen B herself, Beyonce with $54 million. Forbes Magazine has predicted that this year you can expect her to be much higher on the list thanks to Lemonade and the "Formation" world tour. With a small fortune of $75 million Rihanna comes in at number 4. Untouchable at pole position is Taylor Swift with $170 million. The bulk of her career-best haul came from her 1989 Tour, which grossed over a quarter of a billion dollars. More than $200 million of that came in North America, where Swift shattered the Rolling Stones’ record.